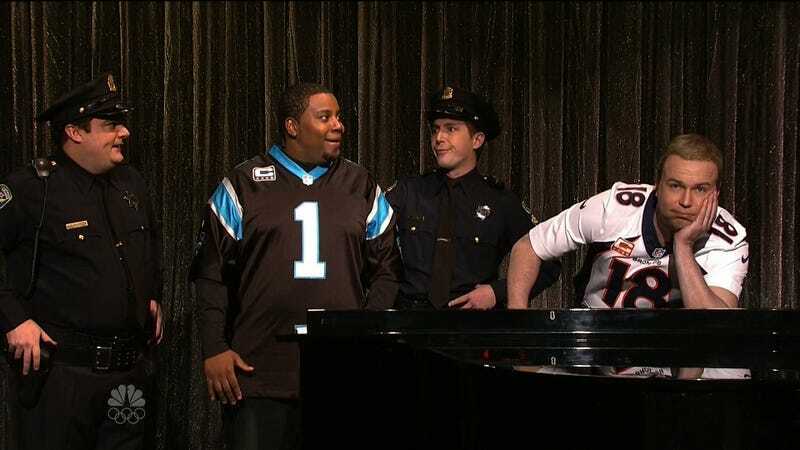 SNL Lampoons Cam Newton & Peyton Manning's "Ebony And Ivory"
Cam Newton is the NFL’s newest MVP, and yet as much media coverage this season has been dedicated to his identity and expressions of it as it has his achievements on the field. Saturday Night Live took a run at the Panthers quarterback—and his Broncos counterpart, Peyton Manning—on tonight’s episode. Johnny Manziel didn’t escape the sketch, either, which was... okay?